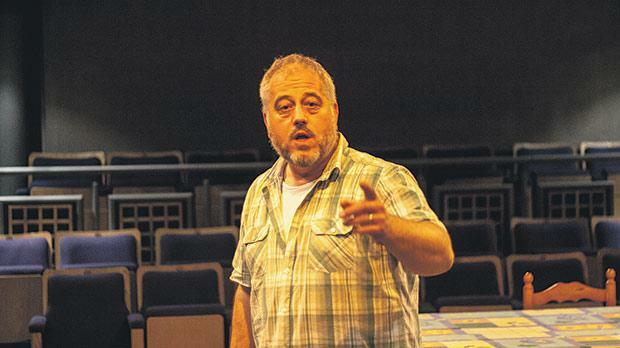 Renowned English playwright Edward Bond has written a play especially for a Maltese production. Director Chris Cooper tells Veronica Stivala that the play is almost certainly about Malta and that everyone in Malta will identify with it. Chris Cooper is a Bond specialist. He has directed more of English playwright Edward Bond’s new plays professionally than most, if not anyone else. He performed as an actor in one premiere production in 1997 and since directed another 13 productions of his plays, nine of them being premiere productions. 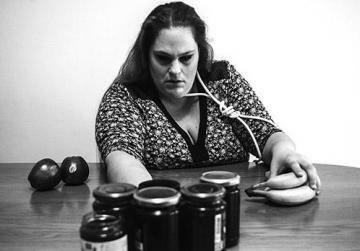 His latest production will be The Price of One, a play written especially for a Maltese production, which is being jointly produced by Teatru Manoel and Unifaun Theatre Productions and is supported by the Malta Arts Fund. But, he continues, the play is also most certainly about Malta, yet it isn’t set in Malta. “I think everyone in Malta will identify with the first part even though it takes place somewhere in another country, but its war imagery enters Maltese living rooms every day through television screens,” he notes. Those familiar with Bond will know how this playwright, largely considered to be among the major living dramatists, is highly controversial because of the violence in his plays as well as the radicalism of his statements. The Price of One is an exploration of eternity and madness and the supermarket culture – we just want to take and all we think about is ourselves. Without giving too much away, the play is in two parts – the first takes place in a war zone, the second in civilian life. The thing that connects both worlds is the experience of the Soldier who has returned home from the war (part one) to civilian life (part two) – from being a Soldier to being a Husband, a transition that is traumatic for him. The second part of the play deals with the Soldier’s return – still haunted, traumatised by what he witnessed – and his relationship to the ‘normality’ of the get rich quick, eat all, consumer madness of the supermarket culture. Discussing the most important elements of directing a Bond text, Cooper stresses how the first and foremost rule is that you need to pay attention to everything in the text, every word, line and stage direction. “We need to learn to read the text and my role is to help the actors to do the same,” he says, noting how unconsciously we have a tendency to step over the unconventional or things that we find difficult to understand and settle for a generalised or vague understanding of the situation. “Bond is not a conventional writer and avoiding a line or stage direction because you don’t really understand it just won’t do. You have to find the meaning within the logic of the situation on stage. To do this we all have to focus on the play’s centre. I tell the actors to play the situation not the character,” says Cooper as he gives insight into his directorial approach. The most powerful drama deals with how to be a human being, stresses Cooper. In the same way as the actors find themselves engaging deeply with their characters, so too will an engaged audience connect with the drama. “When we reason imaginatively we have an emotional connection and we cannot be cold and detached because the self is engaged or dramatised. Because imagination animates the ‘other’, it makes us socially engaged, too. In this way, we take personal responsibility because we feel it, the idea has a concrete connection to our own person, and the decisions we make as a result are political,” says Cooper. While I have not seen the play, my background reading led me to say it depicts a dreary world. Cooper tells me this is my judgement and, while I would not dream of characterising, for example, King Oedipus’s Thebes in the same way, perhaps this is because it is easier for me to distance myself given the play was written thousands of years ago. “We can always reassure ourselves that it’s not like that, now,” he says. The Price of One, however, is about today and Cooper believes Bond is showing society itself, reflecting us back to ourselves. In Cooper’s judgement, the play challenges us with all the fundamental questions of what it is to be human. “I think it shows us our reality and, sometimes, that is not very palatable,” he says. But, all is not so bleak and, as Cooper notes, the point about tragedy ultimately is that hope doesn’t lie in the plays or situations the characters find themselves in – these are necessarily extreme and bleak – but in the audience themselves. The Price of One runs on Friday, Saturday and next Sunday at 8pm at the Manoel Theatre, Valletta. For tickets call 2124 6389, send an e-mail to bookings@teatrumanoel.com.mt or book online.